Pacehigh Limited has been solving surface finishing and deburring problems since 1990. Our range of products are excellent for de-burring, surface finishing, edge blending and de-glazing. We have a large range of Flex Hones, including our Diamond Flex Hone and Flex Hone for Chamfers. 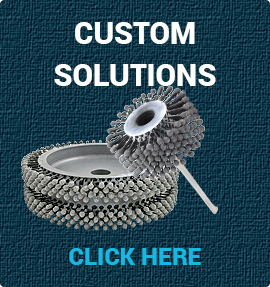 We offer a full range of Industrial brushes and wheels in Abrasive Nylon, Brass, Carbon, Nylon, Natural and Stainless Steel. 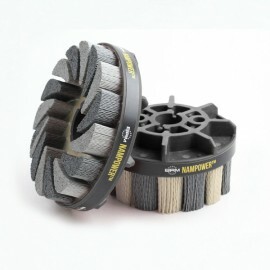 Our Nampower range includes the ADD and ADT style Ceramic mix Disc Brushes and the Composite Hub Abrasive Nylon and Diamond wheels. Our products can be modified to suit a specific application, such as a tapered or stepped bore or extended to suit a long bore, just contact our Technical Sales Department for further assistance. The Flex Hone® is always produced and used in an oversize condition. If your bore size is 1" order a 1" Flex Hone®. If your bore size falls between Flex Hone® sizes select the next size up. Extension Tubing can be added for extra length. The BC Series Flex-Hone® tool is designed for use on any type or size of cylinder from 4mm up to 3" in diameter. 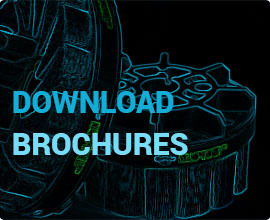 Designed for cross hole deburring and surface finishing. 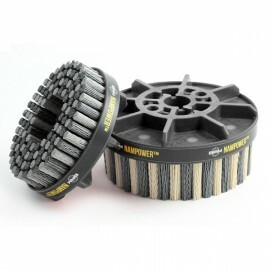 Additional abrasive types and grits are available. 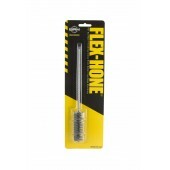 The Flex Hone® Tool should be securely held in a collet, chuck or similar holding device. It is best to use the shortest shank possible for your application. Dot style disc brushes are used for general purpose edge deburring and surface finishing applications. The Dot style is an economical choice for light deburring applications when short cycle times are important. They provide greater flexibility and allow entry into small holes and spaces with ease. 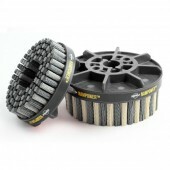 Turbine style disc brushes are ideal for medium and heavy deburring applications. Our unique combination of Silicon Carbide and Ceramic filaments allow the brushes to cut faster and last longer than any other brush on the market. The Turbine style filament is a high density fill that is ideal for short cycle times and long tool life.